Here I am sharing Islamic Calendar 2019 based on Ummul Qura System, Saudi Arabia and Esawi Calendar 2019. 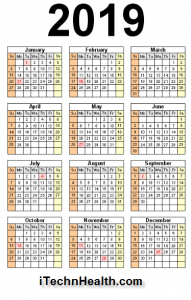 You can download Calendar 2019 and Islamic Calendar 2019 1440 Hijri Islamic calendar by clicking on provided links. These are single page calendar showing 12 months on one page. The exact date of Islamic calendar will be changed according to moon’s appearance. The dates of Islamic calendar have been calculated by Phases of the Moon. So, the chance of changes is very rare expectantly. 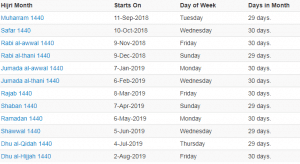 This post also includes important Islamic dates and Muslim Holidays in 2019. 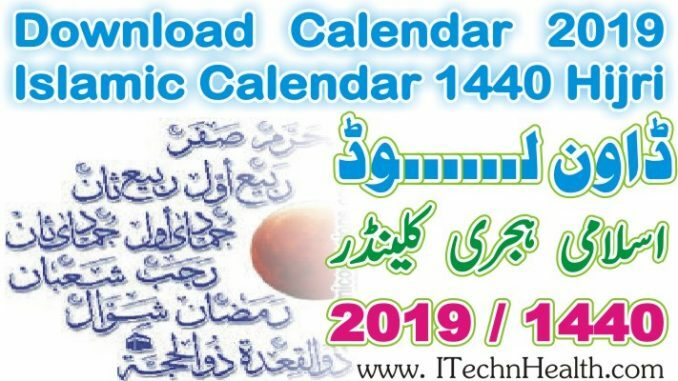 You can download Islamic Calendar 2019 1440 Islamic Hijri Calendar from link given below. 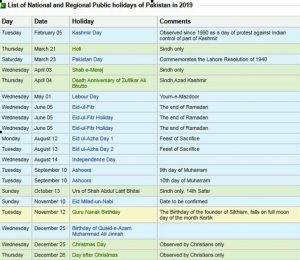 You can download the new year Calendar 2019 With Pakistani Holidays in colorful Microsoft Excel format included complete public holiday schedule. These dates may be modified as official changes are announced, so please check back regularly for updates. 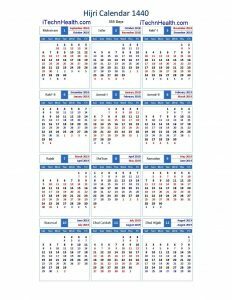 In this calendar you and change the year from 1900 to 2078 according you your choice and within second you can see the complete New Year calendar that you want to see. You can download new Calendar 2018 in printable form A4 and Letter size pages from link given below.